Indian healthcare industry is one of the fastest growing sectors today. The healthcare market in India is constantly growing as a result of rising incomes, greater health awareness, lifestyle diseases, and increasing access to health insurance schemes. In addition, the industry is rapidly approaching a digitised, technology and data-driven future. Let’s have a look how Indian healthcare sector has evolved over the years. The post-independence healthcare sector saw a lot more progress in lieu of economic planning. While the Government of India did recognise Homeopathy, Ayurveda, Naturopathy, Yoga, Siddha and Unani as to be on par with the scientific medicine, the general trend did comply with the norms of modern medicine. The period after independence saw the rise in establishments of many medical colleges along with implementation of many health policies [for e.g. Central Government Health Scheme (1954)] as well as Universal Health Coverage [Employees State Insurance Scheme (ESIS), 1948]. 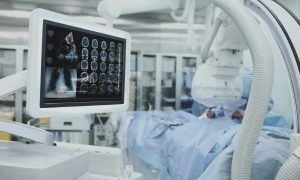 Until recently, the healthcare sector was lagging behind other industry verticals due to under-penetration in terms of technology adoption. However, today the scenario is completely different. The initial challenges regarding low doctor-to-patient ratio, delay in diagnosis due to difficulty in accessing paper-based records, inaccessibility to healthcare information to rural population, etc. are now being taken care of by technology and data-driven healthcare. Today, technology is making its way into almost every aspect of healthcare. For instance, the rise of smartphone users has resulted in more accessible information to patients; record keeping has shifted from paper-based to electronic health records (EHRs) systems, and so on. Digital healthcare (eHealth) has enhanced maintenance of centralized databases for faster and easier access, thereby reducing the risk of medical errors. In terms of infrastructure, there has been a notable improvement. For instance, the number of doctors has increased from that observed in 1951 by almost 9 times. However, the number of doctors per 10,000 population has increased only by 3 times owing to our growing population. Moreover, the private health sector initially contributed for only 5-10% of total patient care, which has now increased by almost 10 folds. Also, with advances and growth in the health infrastructure, the death rates per 1,000 population as well as the Infant Mortality Rates (IMRs) have declined significantly. Digitization has been happening in all sectors, and the health sector in particular stands to gain a lot from such initiatives. 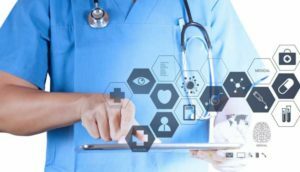 Advancements in technology as well as data-driven solutions, such as artificial intelligence, ‘big data analytics’ and machine learning, are changing the health diagnosis paradigm drastically. 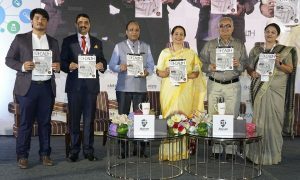 The advanced technological solutions like big data analytics and telemedicine are facilitating rapid and precise diagnosis by doctors, as they facilitate continuous mining of new data sources, together with existing sources, to get a comprehensive view of the disease.The advent of private hospitals and big players also had a hand in developing healthcare and helped increase the life expectancy of the average Indian from 32 years in 1947 to 69.09 years in 2018. Furthermore, collective attempts are being made today by the Government along with many healthcare organisations in order to replace volume-of-care with the value-of-care. The government has committed to dedicate 2.5 percent of our GDP to healthcare by 2025. The government will also establish 1.5 lakh Health and Wellness centres under the Ayushman Bharat programme. The step has been taken as every year around 39 million people are being pushed into poverty owing to the unaffordable healthcare costs. Therefore, the overall focus is now shifted to “value” for patients by means of improved care quality and not just lowering the healthcare costs.